This Friday at the Iron Horse, thanks to Lisa Schaff, our guest speaker is Rod Couch. Rod and his wife were active in the Medicaid Expansion initiative which was successfully placed on the ballot in November. Rod has expanded his concern for the state of Idaho to its workers and the wages they are paid. For purposes of understanding where Idaho places with regard to minimum wage workers attached is a portion of an article which appeared in the Idaho State Journal written by Betsy Russell on August 16, 2018. After reading this short section we should all welcome Rod’s effort. Ms. Russell explains that Idaho was tied for seventh-highest in the nation for its percentage of hourly wage-earners making the federal minimum wage or less in 2017. The data, released by the U.S. Bureau of Labor Statistics, show Idaho tied with North Carolina; in both states, 3.3 percent of workers made $7.25 per hour or less, compared to a national average of 2.3 percent. The figures are much higher for women working in Idaho. While just 1.7 percent of Idaho’s male hourly workers earned $7.25 an hour or less in 2017, 4.6 percent of Idaho’s female hourly workers fell at or below that mark. Idaho had the highest rate of minimum wage workers in the nation in 2012, at 7.7 percent, an unwanted distinction that Idaho political leaders bemoaned. The state’s rank has been mostly dropping since then, with Idaho ranking second after Tennessee in 2013; and ninth in both 2014 and 2015. Idaho ranked fifth in 2016, when it had 4.6 percent of its workers falling at or below that mark. The move back down to seventh place comes as most of Idaho’s surrounding states are seeing low numbers of workers earning the federal minimum wage or less. Both Washington and Montana had just eight-tenths of a percent of their workers fall into that category, putting them among the four lowest states in the nation. Oregon was at 1.2 percent; Nevada, 1.4 percent; and Utah, 2.4 percent. Don’t miss this Friday and learn more about this low wage problem and listen to some ways we all might help. Just in case some of us aren’t paying attention the federal minimum wage is $7.25 per hour or roughly $15,000 dollars per year. Typically those jobs provide minimal if any benefits. It is safe to say that few if any include health insurance. 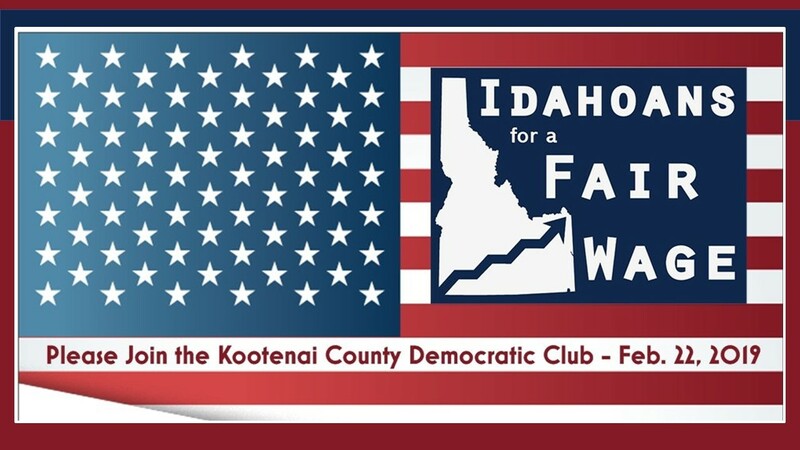 Come, listen and learn how we can help Idaho do better. The Iron Horse, 407 Sherman Avenue, at noon each Friday. We hope to see you there.